For use with Model B Indoor Rowers. 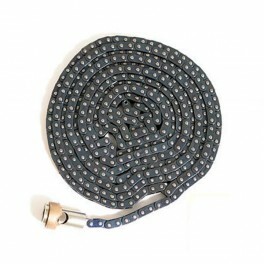 This 10ft long chain comes with a brass swivel at the handle end and chain connectors for the inside end. Fits Model B Indoor Rowers only. If your chain is badly rusted, has seized links or is broken, replace it with this part. See more info.